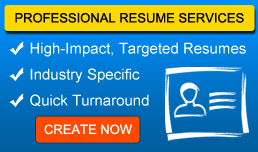 Preparing a resume for overseas job is an initial step towards securing a right job. Most importantly, this creates a first impression on the prospective employer. Cover letter for overseas job, which represents individuals plans for the present and the future forms an essential part of one’s job application. It gives an overview of the requirements that is to be offered from your end. Employers and recruiters are interested mainly in the company’s future they stand for cover letter for overseas job has to be exhibited that equals one qualification. It would be advised to mention few accolades received by the company that grabbed your attention and encouraged you to apply for this position so that it makes the employer to think that you have done some prior work before applying. A cover letter represents ones personal and professional skills and it could also be the right place to mention your expectations of salary. Also, it is significant to maintain proper style of writing in the cover letter. In this regard, it is advised to go through some sample applications to know about the proper style of mentioning the text in the cover letter. Moreover it is advised to get your overseas cover letter edited before sending it for your career overseas. Native speakers of the language that is presented in the cover letter or someone who has an experience in editing have to be preferably chosen to perform the task. To know more career articles, click here at Career Advice.